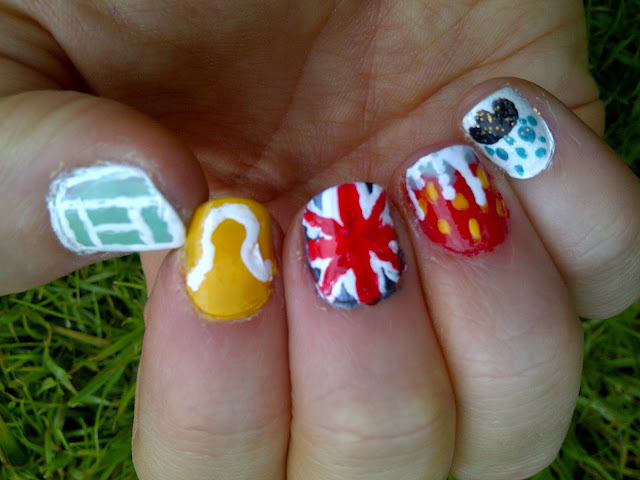 Meg's Boutique: NOTD- Wimbledon nail art! 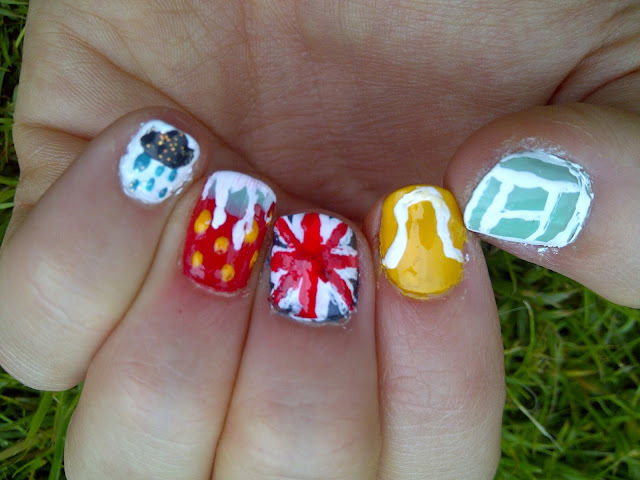 Just in case you can't figure out what the nail art is meant to be from left to right we have a rain cloud, strawberry and cream, union jack, tennis ball and tennis court. I'm definitely going to paint all my nails like strawberries soon as that one was so easy and I think looks the most effective, however I won't be recreating the union jack any time soon as it was very fiddly! What do you think of my tennis nail art attempt? What's your favourite design for nails? Right I better go and eat strawberries and cream whilst shouting various supportive things at Murray now! Cuuuuuute nails. I'd totally indulge in nail art if I could be bothered, but I need to have my nails short for violining, and it's more convenient anyway. love your nails they look so cool! I'm so unimaginative with my nail varnish haha!